The extremely invasive Foeniculum vulgare is in the carrot (Apiaceae) family. It is native to Southern Europe and is problematic in coastal California and is also present throughout the western US all the way to Texas. 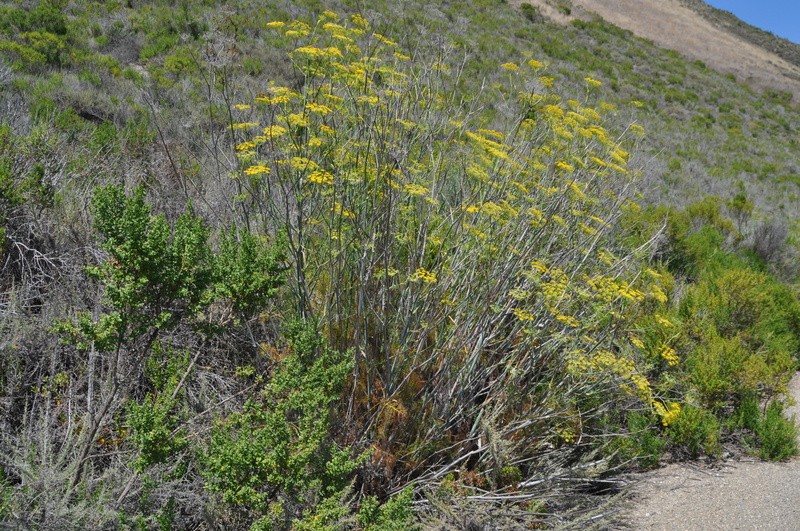 I’ve encountered Fennel on Santa Catalina Island and Santa Cruz Island. 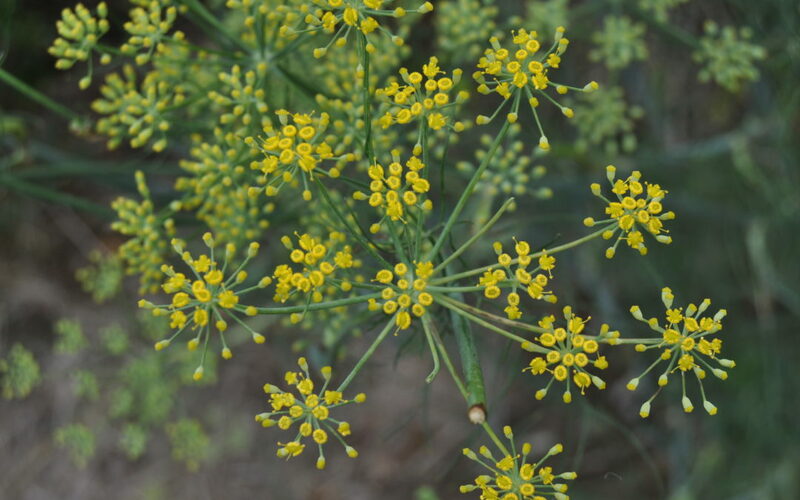 Clusters of Fennel may be found in disturbed areas, mostly roadsides and fields. Fennel is an aromatic perennial with a thick deep taproot and which grows to 5 to 10 ft. tall forming dense stands producing thousands of seeds that birds and rodents consume. Seeds may survive several years. Feral pigs are attracted to it and love its roots! Fennel crowds out native plant species and can drastically alter the composition and structure of many plant communities, including grasslands, coastal scrub, riparian, and wetland communities. The cultivated varieties of Fennel are seldom invasive. The leaves are finely dissected and the plants produce yellow flowers on compound umbels. Fennel is a difficult, labor intensive plant to control. Small infestations can be dug out. Large plants are hard to dig out. Preventing seed production by lopping stems is vital so cutting Fennel repeatedly is advised. Grazing with goats can knock the plants down. Burning doesn’t work because Fennel quickly recovers, but if linked with herbicide treatment may be an effective method.